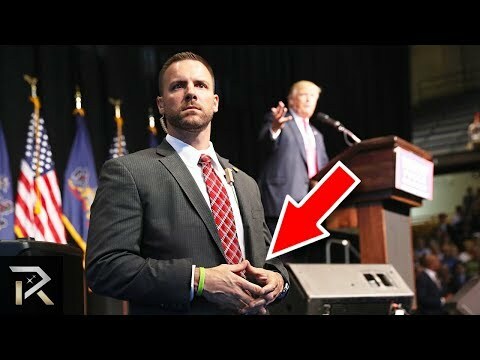 Secret service agents worldwide are easy to pick out of a crowd but you might not notice the hidden tactics used by the agents all the time! The personnel, who have to pass rigorous training and meet a stringent eligibility criteria, are trained to pick out from a crowd anyone suspicious and employ a series of maneuvers to prevent the worst from happening. Even their presence sends a message that whomever opposes them is not likely to achieve their goal, much less get away with it. Once they’re mobilized, boredom is the last thing on their minds. Each of them are focused on eyeing the landscape for any spots that make them vulnerable and assessing the crowd for potential acts of hostility. They’re not just using their brains, wit and experience, though. A lot of high-tech countermeasures are involved as the Secret Service has to navigate a series of what-if scenarios. Furthermore, the Secret Service in most nations also uses a number of tactics that might seem a tad crazy. This video focuses on the latter.